Beautiful You: Teen Blog Series Week 6 | Autumn Fashion Staples! 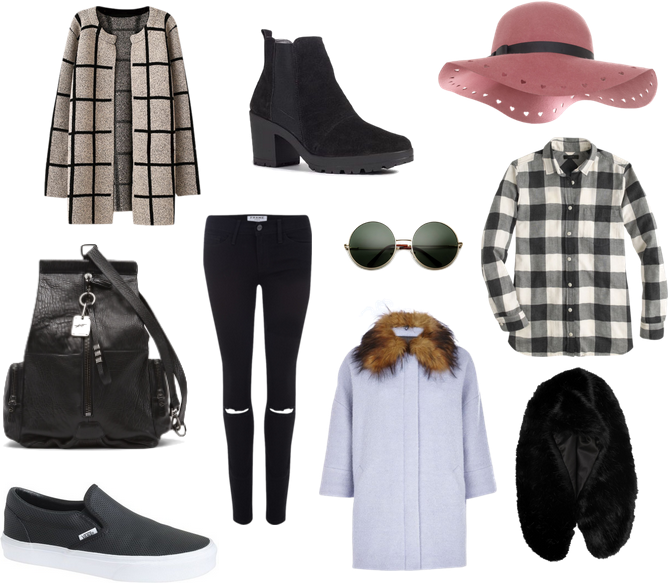 Teen Blog Series Week 6 | Autumn Fashion Staples! When I saw the topic for this week's instalment of the Teen Blog Series, I had a mini fangirl moment inside. Autumn fashion is one of my favourite things at the moment and I cannot wait for the weather to get colder so I can start wearing my scarves, coats and hats! I have put together a collage of my favourite things and what is going to be staples in my autumn wardrobe. I cannot describe how excited I am for this time of the year, I'm definitely a winter girl and I love wrapping up warm. I hope you like the items that I have picked and I will try and leave links to some of the items if I can find them online. 1. Capes- I have been seeing more and more of these on the high street recently and I wasn't sure how I felt about them at first but they have really grown on me. I think that they can add so much to a plain outfit like a simple white tee and jeans with some pumps for example, and it makes it so easy to dress up a casual outfit! 2. Rubber Soled Boots- Again, these are everywhere at the moment and I also have a pair myself. Rubber soled boots can give an edgy vibe to an outfit and make it look more put together than you originally planned. They are also extremely comfortable for a pair of heeled boots but that is down to the rubber sole. Another added bonus is they will keep your feel warm during the colder weather. 3. Floppy Hats- These are amazing, every single blogger out there has a floppy hat and they cannot deny it, I love this particular one because of the heart cut out details, it just gives it something different that plain floppy hats don't have. They can give a vibe of elegance to an outfit and make it more formal if you wanted something for an occasion. 4. Backpacks- These have been making more of an appearance recently and I am really happy about this as I am going to New York soon I wanted a sensible bag to take. I have been looking around and I am really liking black leather ones, they are durable in the rain and they will balance the weight out so its not uncomfortable to wear for long periods of time. 5. Ripped Skinny Jeans- These can add an element of edge to an outfit, everyone loves a good pair of jeans and the rips can just shake it up a bit so it's not so similar all the time! It can take a simple outfit like jeans and a white t-shirt and make it more current and edgy, I love them! 6. Circular Sunnies- Anyone who is anyone is wearing sunglasses like this at the moment, I know you won't need them as much in the autumn but you can never have to many pairs of sunnies! 8. Vans Skaters- As you will know from my previous posts I am a massive fan of these types of shoes, they are insanely comfortable but still look fashionable. I picked black ones as going into the latter seasons in the year, colours tend to fade out and are replaced with monochrome tones so these will see you through until next year! 9. Oversized Blazer Coats- I think these are so effortless, they are such a simple item but can easily dress up an outfit. This one in particular I love a lot because it has a fur collar and as you will see when you ready number 10 I am a massive fan of them. 10. Faux Fur Collars- I am a massive lover of faux fur, and a removable collar is brilliant as then you can pair it with many different outfits. Once you have one you can added it to any outfit and it gives it a sense of class! As you can probably tell I am extremely excited about autumn fashion and I could have written so much more in this post but I restrained myself as I didn't want to go over board! I would love to see what types of things you guys love to wear during the autumn/winter period so let me know in the comments below. I shall see you all on Wednesday!